These four winners inspire philanthropy in their employees, not by writing a check but by going into the community to help. What the company does: Provides Rhode Islanders with comprehensive and caring banking services. 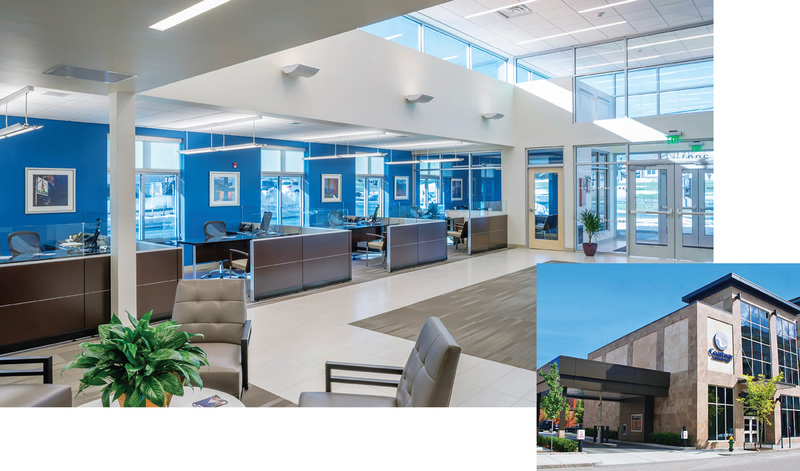 Coastway Bank has been providing Rhode Islanders with friendly, local banking services since 1920, when they opened their doors as the Telephone Workers’ Credit Union. The company has since changed names and currently has nine branches across the state, but their community involvement program, which was launched in 2010, is also worth noting. The program ensures that employees partake in meaningful community involvement, no matter what the worker’s level is in the company. In 2016, more than 77 percent of Coastway employees volunteered. They logged 4,800 hours, double the number of hours logged in 2010. Coastway has more than $670 million in assets. Coastway serves more than 30,000 customers. Coastway has lent more than $407 million to local businesses since 2009. Enter your email for a chance to win 4 Taproot Brewing Co. flight boards or a wine tasting for 4. Followed by dinner for 4 in Brix Restaurant. Limit 1 flight/tasting per person. Flight/tasting and dinner must be redeemed in same night. Excludes Saturdays. Based on availability, check website for hours, winner must redeem by 12/31/19. Please call 401-848-5161 ext. 0 to reserve. By entering this contest, you agree to receive occasional updates and offers from Newport Vineyards.